Our Equipment | AIMS Companies | Safe. Reliable. Secure. At AIMS, we believe in maintaining relationships with our equipment suppliers to create a mutually beneficial communication system. We keep up with trends, the latest updates, and provide constructive and real-life experience feedback geared towards the support of upgrades and technological advances to improve the function and safety of equipment. 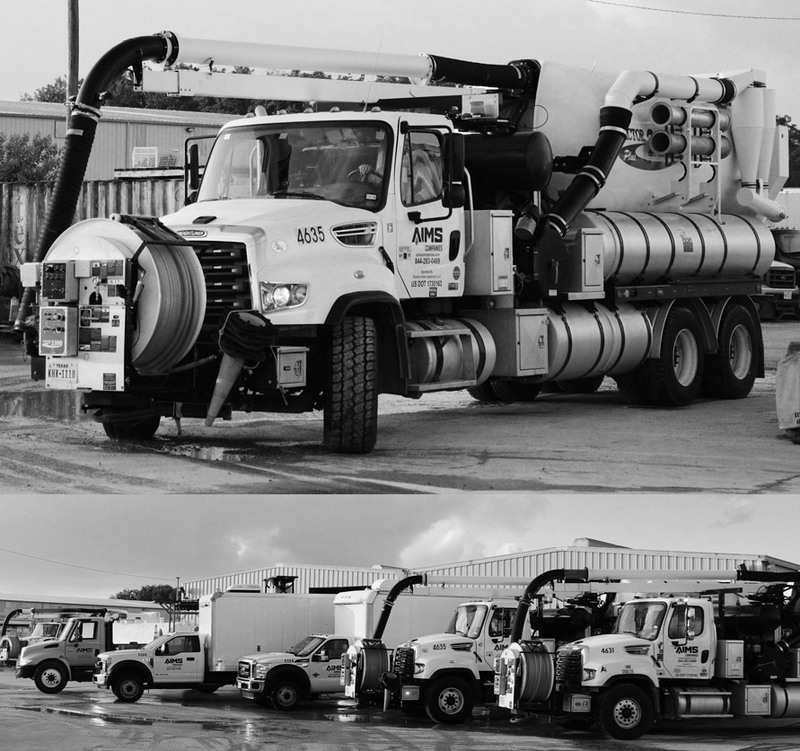 Our fleet contains Combo Units, Wet/Dry Vacuum Units, Hydro-Excavators, Liquid Vacuum Units, Hydro-Blasters, Skid Steers, Water Trucks, Street Sweepers, Forklifts, Man Lifts, Pick-up Trucks, Media Blasters, Pipeline CCTV Trucks (mainline and lateral) and many other pieces of specialty equipment designed to perform every job efficiently and safely.